How have you been coping in the heatwave and are you quite enjoying the break before part 2 arrives later this week? We all got what we’d been saying we wished for, a proper summery July with day after day of sunshine and balmy temperatures. And I think most of us were in the same boat, trying desperately not to complain but feeling like we were melting. If the forecasters are right again, we are due another month of sunshine and heat. What we have at the moment is just a little break for us all, a reservoir top-up and a drink for the lawn before we bask in the sunshine again. Some of my Australian friends have been mocking us online, saying the temperatures we’ve been getting are nothing compared to a summer over there. That might well be the case, but the fact of the matter is that in the UK, we’re just not set up for extremes of weather that only happen once in a blue moon. When we get long periods of heat and no rain we suffer with water supplies and lack of air conditioning, and in the winter when we get a few days of back to back snow we suffer with travel chaos. But as much as these conditions can cause us problems, as Britons, we also revel in the novelty of it. There has of course been some awful tragedies and incidents as a result of the prolonged heat and I sincerely hope you, your teams and your loved ones have not been impacted by these. Let’s all remain mindful of our actions and continue to look out for one another when the hot weather returns. 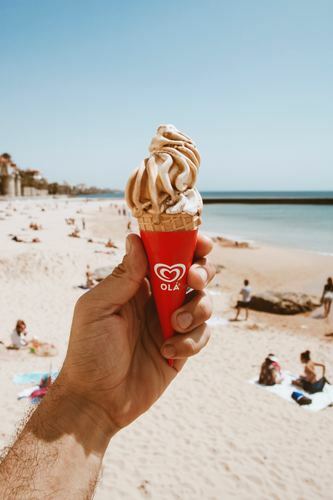 How has the heatwave impacted businesses? There have been “winners and losers” with the prolonged summer weather says John Butler, UK economist at HSBC bank. They have reported that the major food retailers have seen bumper sales, particularly of salad items, barbeque foods, beers and sun cream. And in June, retail sales posted their biggest monthly rise in a year. If you were late buying your kids a paddling pool, you’ll know they sold out everywhere weeks ago! Asda reported huge rises in sales of burgers and rolls and a jump of 40% in summer fruit sales. Energy companies are also seeing a boost with increased electricity usage for fans and air conditioning units. With the heat and the football, UK tourism is also benefitting with an estimated 27 million people choosing to ‘staycation’ this summer rather than go abroad in search of good weather. This has a great knock-on-effect for the overall economy. However, the downsides to the heatwave are the slump in productivity and the pressures on the countries transportation infrastructure. According to CEBR, increased commuting times and congestion on the roads costs the economy an extra £3.9 million per day when temperatures reach 90 degrees Fahrenheit (32 degrees Celsius). Plus, the National Institute of Occupational Health and Safety estimates that the average British workers productivity drops by 8% in temperatures over 80 degrees Fahrenheit (26.5 degrees Celsius). If you are winning or losing from the heatwave, what measures have you put in place to support your team? I've got members of my team their own fans, as well as bigger fans strategically placed around the office. It has however still got pretty hot and we’re all doing more water runs, topping up everyone’s desk water bottles. As the temperature has risen I have taken some time recently to review Vanilla, to really stand back and objectively analyse where we are making the most difference for our clients. Where we are strongest and which of our niche divisions are thriving most. This has been a great thing to do. Most of the time we are heads down working hard but it is so important to allow yourself time to look up, explore what’s going on in more detail, be critical and make improvements. Part of this refocussing has been a direct result of my team benefitting from some external training and support. I am a strong believer in working with the strengths individuals have to aid the business rather than push an agenda that doesn’t work for people. Working with our trainer, I have been able to really target where we are strong, and it’s allowed me to tailor our business approach to get the best from everyone with the right flow and in the right roles. So, the men's England team didn’t win the World Cup :( But we did witness the workings of an inspirational people manager, Gareth Southgate, leading from the front and taking his team with him, engaging his players and reigniting the passion and pride in playing for your country. Consoling opponents after penalties, being gracious, being the carrot and not the stick. Doing things his way to get the very best from his team. He’s one to watch from a business point of view and even though I’m not a football follower, I’ll be in line when the inevitable Gareth Southgate management book comes out. As I mentioned last month, we had our Vanilla Family Barbeque in July. We had the best weather we’ve ever had for our annual event. My team came together in my garden with their families for a day of chatting, playing, laughing and drinking one or two cocktails. There were a few sore heads the next day but it’s always worth it to spend quality time together outside of work, just letting loose. We are super proud of our lovely Jackie. If you don’t know her, it is very likely if you call or email us she’ll be the first person you liaise with. Jackie is a passionate member of her local Rock Choir and a Northampton classical choir. The classical choir have been lucky enough to be selected to sing alongside Sir Karl Jenkins, in Berlin this autumn with singers from all over the world to Sing for Peace. The event is a performance of The Armed Man: A Mass for Peace, to mark the centenary of the end of the First World War. This is a huge deal and the event will be televised so we’ll be sat in front of our big boardroom screen looking out for our girl! Well done Jackie!!!!! Have a great August, stay safe and get in touch if you need any temporary workers at short notice during holiday season.